"Italian Partisan Weapons in WWII" was originally written and published in Italian by Gianluigi Usai, and recently (2016) translated into English by Ralph Riccio and published by Schiffer in the US. It was intended to fill the hole in histories of the Italian Resistance and partisans during WWII regarding the actual arms used. Most histories on that subject say little or nothing about the actual details of the arms being used, which leaves lots of questions for those who take an interest in firearms. I have seen the same thing in books about the French Resistance, where the few references to specific guns are generally vague or nonexistent. "Various heavy machine guns were turned in, including the Breda 37, Fiat 35, Saint Etienne, and Okhis, and all invariably unserviceable (but then again, in the case of the Hotchkiss, how could it be expected to function properly when it was missing so many letters of its name that it became the Okhis?)" This first section of the book is definitely the most interesting to me. 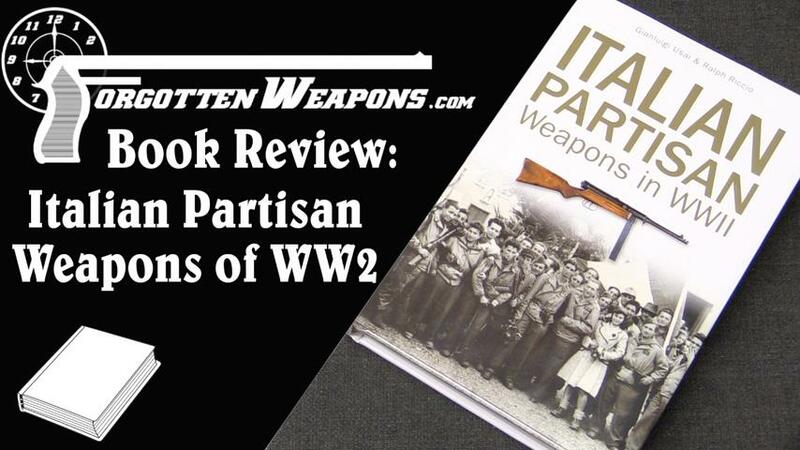 The remaining ~180 pages are devoted to profiles of all the weapons used by the partisans. This is a very large number of different weapons, and each one receives only a quite cursory description. Those with a good knowledge of WWI and WW2 small arms will find little new information there (and a few factual mistakes). However, each of these profiles is accompanied by one or more photographs of partisans with the weapon in question. These pictures are very interesting, I think, and between them and the analysis in the front section of the book I think it is worth the $40 cover price.